This is a project that is aligned with Chapter Three of the Issues for Canadians textbook that is used in Alberta, Canada. 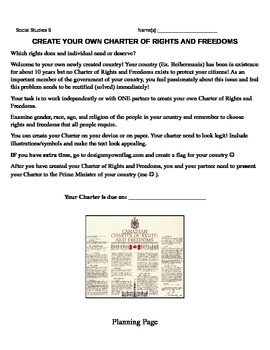 This project involves students creating their own Charter of Rights and Freedoms. This project is an excellent way to start the unit and I found that my students enjoyed it. It is easy to differentiate for inclusive classrooms. 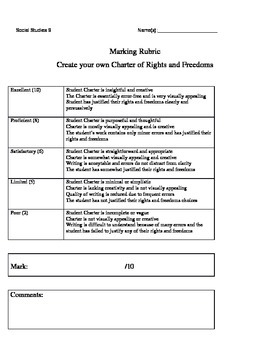 I have included a rubric as well! Please follow me on TPT and rate my products.